Lashes seem to multiply, magnify, grow to extremes. Sumptuous Extreme Lash Multiplying Volume Mascara uses three different high-volume fibers to create audacious, false-lash effects. The Lash Advancing Vitamin Complex conditions. Lustrous color leaves eyes looking brighter, wider, more seductive than ever. 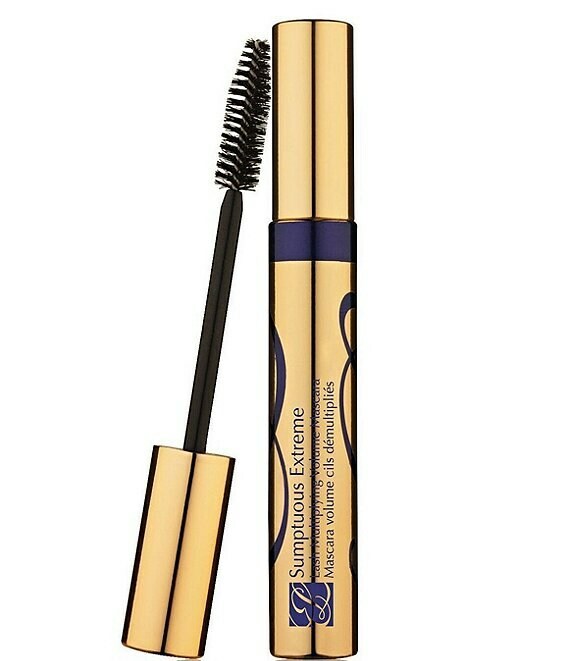 Estee Lauder's oversize Brushcomber Extreme creates over-the-top lashes.